Iranian women had active participation in the acts of protest held by various sectors on Saturday, March 16, and Sunday, March 17, 2019. On Sunday, March 17, 2019, a group of defrauded investors of the Caspian fraudulent credit institute held a protest outside Tehran Prosecutor’s Office demanding their lifetime assets and properties plundered by this IRGC-backed financial institute. Defrauded women had active participation in some 250 protest gatherings and demonstrations across Iran over the past year from March 2018 till the end of February 2019. The protest gatherings in Rasht was regularly held every week essentially by women outside the Caspian branch in this city throughout the year. Rasht is the capital of Gilan Province in northern Iran. 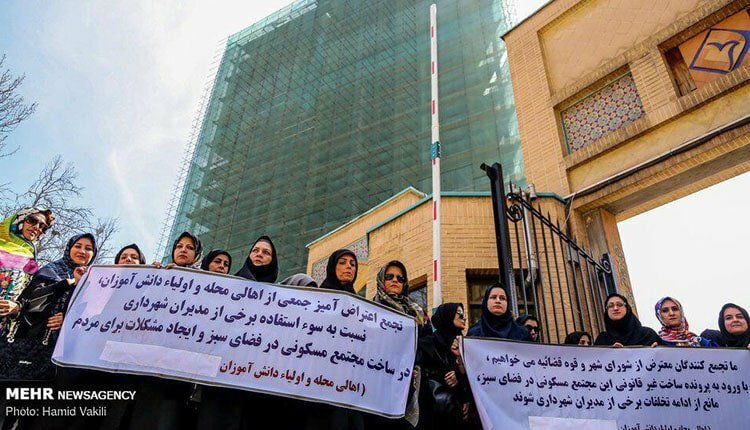 In another act of protest on Sunday, workers and employees of Saham-e Edalat Offices in Tehran continued their protest demanding determination of their employment status and payment of their salaries unpaid for 48 months. This is the second week the employees of Saham-e Edalat are holding protests and women have active participation in them. Also on Sunday, March 17, 2019, a group of customers of Saipa carmaker company held a protest gathering in Tehran outside the Ministry of Industry, Mines, and Commerce. The protesters have registered and paid in advance to receive cars, which they have not received. In addition, the company has increased the price of the cars they have registered to buy. On Saturday, March 16, 2019, a group of residents of Tehran’s Zafaraniyeh District held a protest gathering against a number of municipality managers. The managers have taken advantage of their positions to build residential units in the district’s green space which has created problems for the residents. Women had active participation in this protest. The state-run Mehr news agency reported on this gathering and published photos of these women. Iranian women had active participation in at least 1,499 protests over the past year spanning from the beginning of March 2018 until the end of February 2019.